I’m pretty sure that Dr. Jonathan Bricker has more research funding to study Acceptance and Commitment Therapy than any other researcher (it’s hard to confirm this as there is no central database). For this alone he’s a person worth interviewing. 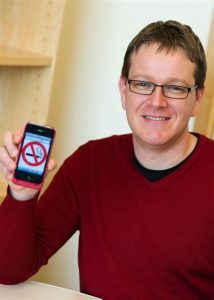 He’s also interesting as a researcher who deeply considers how research can help us scale psychosocial interventions to reach millions of people, and thus apps and websites feature prominently in his research. If you are interested in learning how to do clinical research that scales, then this is a guy you want to pay attention to. If you don’t trust me that he has ideas worth spreading, then maybe you’ll trust the over four million views of his TEDx talk on the science of self-control. Contextual Behavioral Science, and is a full-time researcher at the Fred Hutchinson Cancer Research Center, where he leads a research team conducting cutting-edge clinical trials on Acceptance and Commitment Therapy, smoking cessation, and now weight loss. As much as Dr. Bricker enjoys working with smart and experienced people, he places a high currency on caring and compassion, and has tips and tricks for identifying these types of people. Dr. Bricker also shares his thoughts on the limitations of the traditional psychology research training model, and discusses how he has found a positive and supportive work environment at a dedicated research center. If you are interested in working at an independent research center, he has important advice on how to move your career in that direction.